Create fun stop motion green screen videos with your own DIY Chromebook stand! We had such a great time meeting educators at Bett in London and FETC in Florida last month. A big thanks to everyone that stopped by one of our booths! Early next month we'll be in Illinois for ICE, before we bring our booth home to California and prepare for CUE in Palm Springs. You can always see when we are in your area on our Events page. We love receiving videos created by inspiring young filmmakers. At Western Middle School in Connecticut, they literally took their videos to new heights. This month's Educator of the Month combined his passion for film making and drones when introducing his students to WeVideo. April Wurtsmith, a fifth grade teacher at Independence Elementary, really wanted to start the year off right this past fall. Learn how April and her students got to know each other while creating a positive, inviting classroom environment. 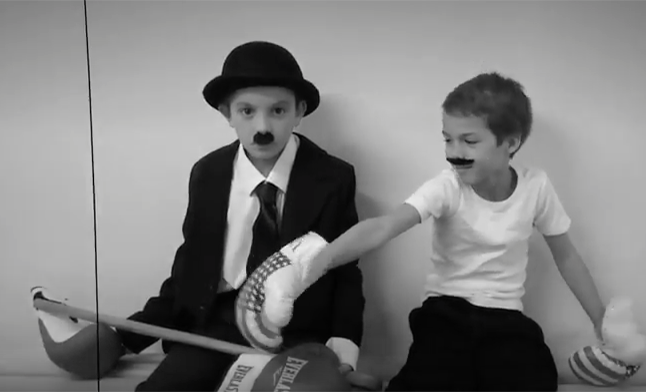 Year five at Newton Prep School in London created some amazing black-and-white short films for the school’s film festival. Sit back in your most comfortable chair and enjoy "The Champion" and the other winning videos. It takes a teacher! 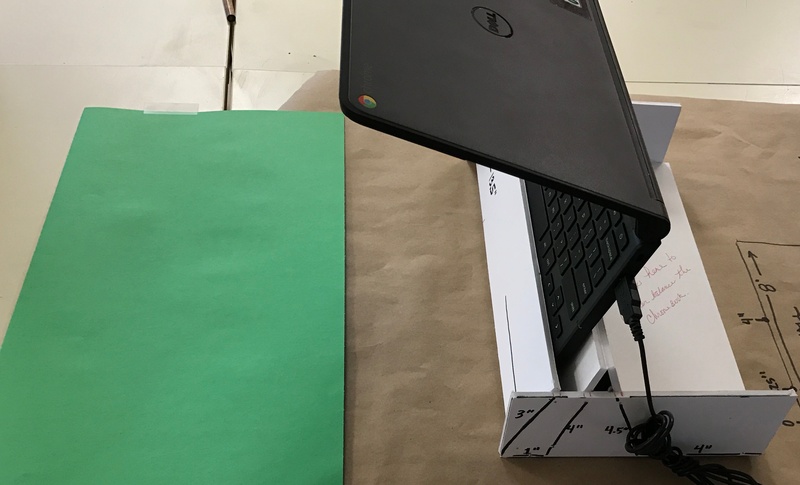 Heather from CUSD 200 in Illinois got creative with her class and built a great Mo-cap Chromebook stand that allows the students to easily move objects around on a flat surface, while using the mouse to accurately quickly capture the images. She didn't stop there. She added a green screen to top it off. And, she did it all for practically pennies. 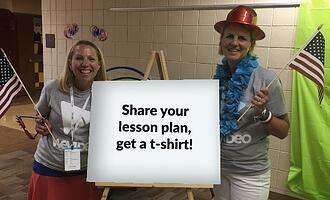 Share your lessons; get a T-shirt! 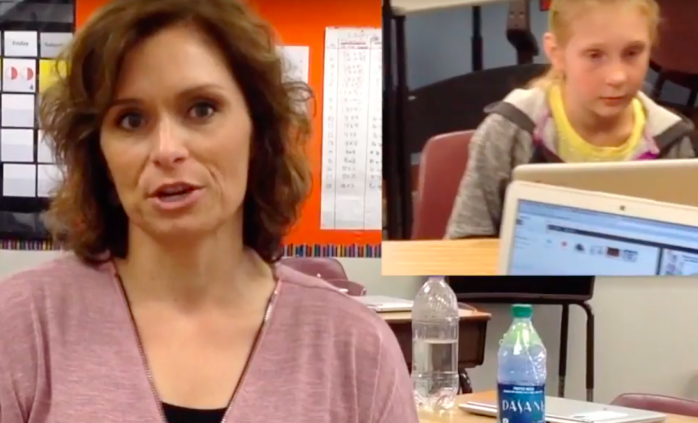 WeVideo has created a new dedicated site for educators! This is your one-stop-shop to find teaching resources, lesson plan ideas, and inspiration from the WeVideo team and the education community. Please help us continue to make it better by adding your valuable contribution. WeVideo JumpStart: Last month we announced a stunning breakthrough in Cloud-based video editing with the ability to work with local content immediately without having to wait for it to upload to the Cloud. This great new feature feeds your creative freedom by removing the unnecessary friction of waiting for uploads. New partnership with SkoleTube: Denmark’s number one online media platform for primary, university and seminary education, with over 600,000 members, partners with WeVideo. Introducing Professional Development options from WeVideo: Introductory webinars, exclusive online workshops and custom on-site workshops designed to help teachers and trainers make the most out of WeVideo storytelling tools. NEW Feature: Combine video clips/scenes into one video, perfect for your video newsletter or collaborative projects.